A serious dialogue starts in privacy and secrecy, citizens are in most cases alerted about the dialogue when it reaches an advanced state. Uhuru Kenyatta and Raila Odinga did the same, Kenyans were shocked with their unannounced 'handshake'. They reached to each other in darkness because they were serious about the progress of their country. It is quite shocking to learn that President ED never made an attempt to poke Nelson Chamisa for a dialogue discussion. This piece seeks to support the view that the dialogue pioneered by ED was preplanned by some of his underground advisors and Hopewell Chin'ono should be quite aware of this, that is why he has been stage managing the role of a King-Maker. On 6 February 2019 just some hours before the commencement of the so called dialogue at State House, Hopewell published an article titled, 'The President's Track Record is Getting in the Way of a Dialogue'. In the piece, he exposed some of his 'crocodile tears' on Nelson Chamisa by blaming ED for treating the opposition leader like a 'criminal or a political leper' when attempted to block him from attending the funeral of the music icon Oliver Mutukudzi. He was quite certain that Nkosana Moyo and Noel Manyika would attend the event but not certain with the attendance of Nelson Chamisa. 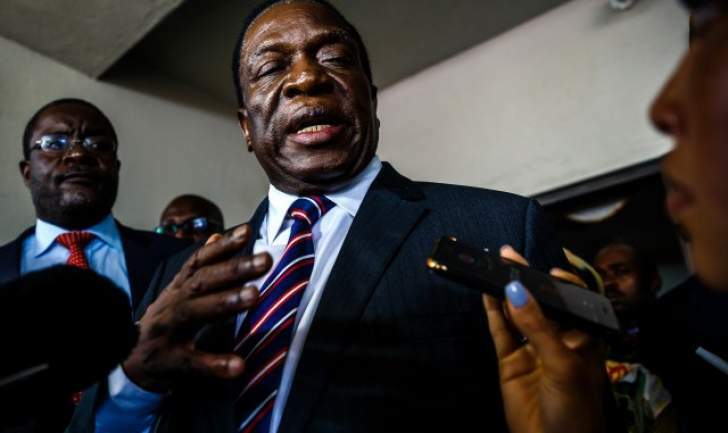 He concluded that ED has to go on with the dialogue and that the absence or presence of Nelson Chamisa would be judged by history and political analysts. On 7 February 2019 some hours after the false start of a ZANU PF sponsored dialogue at State House, Hopewell Chin'ono published another article titled, 'Dialogue Should be About Resolving Zimbabwe's political and Economic Crisis not Jobs'. In the piece, Hopewell dictated with confidence just like a King-Maker that, dialogue should not be about inclusive government (not jobs), that the rest of 21 candidates are useless except Nkosana Moyo and Noah Manyika because of 'their understanding of issues and the general respect that they have earned from the citizens'. He also pointed out that the MDC-T leader Khupe should be accepted to be among the dialogue team because her party has one MP. I am confident that, what Hopewell Chin'ono is dictating is what ED and ZANU PF are advocating for, they don't want dialogue with Nelson Chamisa alone but with others like Noah Manyika, Nkosana Moyo and Thokozani Khupe so that they can neutralize Chamisa. Just like other 21 candidates, Manyika and Nkosana Moyo have no MPs in the parliament, they have no constituents but President ED and Hopewell Chin'ono believe that they should be part of the dialogue because of their broad understating of issues and the respect they command. We need a fair and objective reason for the possible inclusion of Manyika and Nkosana in the dialogue at the expense of the rest. Hopewell Chi'ono as a King-Maker of the dialogue also dictates that dialogue should not about jobs/positions (inclusive government), this is a position which President ED is hanging on too but who is Hopewell to dictate the direction of the dialogue?. Is he a convener or mediator? Something is not adding up here, the dialogue appears to be preplanned and some people are now trying to force Nelson Chamisa to tune to their underground plan. Who is Hopewell to dictate the direction of the dialogue? Hopewell, is a CNN award winning journalist now claiming to be a King-Maker. During the period leading to the 2018 elections, Hopewell was a strong critique of Nelson Chamisa and a supporter of ED. When Hopewell discovered that the killings of the innocent civilians were soiling the relationship between Zimbabwe and UK he changed his position on Nelson Chamisa. There are allegations that Hopewell played a key role in bringing ED/UK together and his aim is to bring Nelson Chamisa on board so that he can rectify the broken relationship. Hopewell Chin'ono should be within the underground team of ED that is trying to manipulate the dialogue. The support of Hopewell on Nelson Chamisa is not genuine but short lived, he only want to deceive Chamisa to accept a ZANU PF skewed dialogue. My advice to President ED and Nelson Chamisa (NC)? There is no doubt that the problems that we have in Zimbabwe were provoked by the presidential election dispute between ED and NC. Therefore, only ED and NC can solve this problem and not Hopewell King-Maker Chin'ono or the 21 presidential candidates. The civic groups and civil servants are not supposed to be part of this political dialogue. They should dialogue with respective ministerial departments. It is on public domain the ED is blaming NC for all political and economic problems in Zimbabwe and not Nkosana, Khupe, Manyika or Hopewell Chin'ono. ED and NC should avoid dialoguing on media. The dialogue should be done in secrecy, this should be done for the sake of smooth progress. The two should avoid listening to hardliners in their respective parties but the dialogue should be about the suffering Zimbabweans. I am against the idea of looking for a convener and a mediator but this can be done if the two fail to agree. Uhuru Kenyatta and Raila Odinga managed their dialogue alone. ED and NC may try the same before looking for external help. The future of Zimbabwe is in the hands of ED and NC. Citizens/media should give them chance to locate each other. This dialogue should be about the legacy of ED, he should swallow his pride for the sake of progress in Zimbabwe. The two should be given space to resolve their problems. We need political analysts and not King-Makers, ED and NC are bigger than all of us.